Thursday is here, in all its opulent glory, and with it comes the final Nintendo Download update of the month. April beckons, so let's ring out the month with some brand new gaming highlights on the Nintendo Switch, 3DS and Wii U eShops. As always, be sure to leave a vote in the poll below, and a comment sharing your thoughts on this week's big storefront updates. Enjoy! 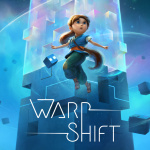 Warp Shift (ISBIT GAMES, €9.99 / £8.99) - Warp Shift is a unique puzzle game set in a mysterious world. It takes you on a marvellous journey that challenges your mind and stimulates your senses. Experience beautiful visuals, challenging puzzles and intriguing sound design. ACA NEO GEO SENGOKU 3 (HAMSTER, €6.99 / £6.29) - “SENGOKU 3” is a side-scrolling action game released by SNK in 2001. In order to purge malicious souls, Shinobi travel the world to defeat the undead. Cut, smash, throw, and use weapons as well as Ninja Arts and Ultimate Ninja Arts in this hyper-action ninja game. Adventures of Bertram Fiddle: Episode 1: A Dreadly Business (Chorus Worldwide Games, €5.49 / £4.99) - The Adventures of Bertram Fiddle is a hilarious tongue-in-cheek point and click adventure game that mixes the classic formula up with riveting action elements all weaved together lovingly by Rumpus Animation. 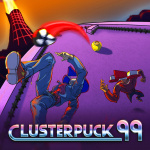 ClusterPuck 99 (Coatsink Software, €8.49 / £7.69) - ClusterPuck 99 is top-down competitive local multiplayer sports game filled with fun and frantic action! Bash your opponents to gain control of the puck and then fight your way through to their goal. Avoid spikes and use speed boosts in the maps to blast past other players. 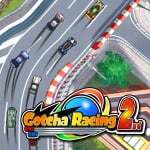 Gotcha Racing 2nd (ARC SYSTEM WORKS, €9.99 / £8.99) - Get parts from the gacha and customize your own original machine. Win the variety of races and aim the top of the Grand Prix! 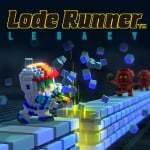 Lode Runner Legacy (Tozai Games, €11,99 / £10,79) - Collect all gold in the level and escape! But watch out for the multitudes of enemies and traps in the labyrinthine levels! The Runner can blast floors, so strategically use this technique to capture the gold imbedded in blocks, or entrap your enemies in the blocks! Use your wisdom and strategic techniques to complete all the levels! The Charming Empire (D3 Publisher, €24.99 / £19.99) - “The Charming Empire” is a dating simulation game set in the Taisho Roman era of Japanese history. Popular voice actors known for their talent in anime and video games bring our five main characters to life. Your ears will thank you to hear their performances across all the main scenarios. Unholy Heights (mebius., €4.89 / £4.39) - "Unholy Heights" is a combination of Apartment Management Simulation and Tower Defense. As the devil, you have to collect rents, use them to improve the living environment, and beat all the human adventures with the power of tenants! 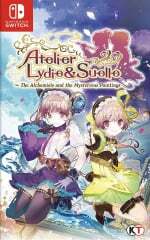 Atelier Lydie & Suelle ~The Alchemists and the Mysterious Paintings~ (KOEI TECMO EUROPE, €59.99 / £53.99) - Lydie and Suelle are twin sisters, who are also alchemists, living in Merveille, the capital of Kingdom of Adalet, and they aim to make their atelier the best atelier in the kingdom. One day, they find a Mysterious Painting with a strange and wonderful world inside of it, full of rare materials for their alchemy. This discovery is sure to become the very key to realizing their dream. 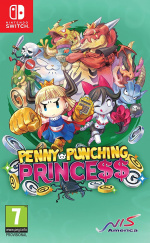 Penny-Punching Princess (NIS America, €39.99 / £39.99) - Penny-Punching Princess is an isometric brawler that takes place in a world ruled by capitalism, where cash is king. Fight or bribe your way to reclaiming your kingdom from the greedy Dragoloans. Read our review. Arcade Archives PUNCH-OUT!! (HAMSTER, €6,99 / £6,29) - “PUNCH-OUT! !” is a sports-action game released by Nintendo in 1984. Watch your opponents' expressions and moves as you use a variety of punches and defensive moves on your path to become the boxing champion. The game became extremely popular with the double monitor setup, introducing intense boxing with dynamic graphics. Alteric (Sometimes You, €4.99 / £4.49) - Only Yesterday You Were A Man. Today Everything Has Changed. You Died. But your soul is still there. It’s a piece of light energy trapped in the alien space between two worlds. 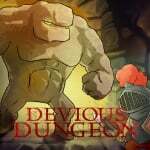 Devious Dungeon (Ratalaika Games, €7.99 / £7.99) - Under orders by the King, players assume the control of a Knight instructed to head into the catacombs beneath the Kingdom, to slay the fowl beasts and monstrosities that have invaded the murky depths. Farm Expert 2018 for Nintendo Switch (SimFabric, €24.99 / £22.49) - The special edition of farming simulator Farm Expert 2018 for Nintendo Switch which succeeded on mobile platforms last year with over 2 million installations now on Nintendo Switch. 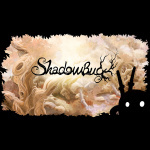 Shadow Bug (Muro Studios, €8.99 / £8.09) - You are the overpowered ninja hero Shadow Bug! 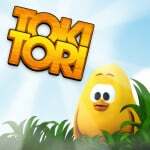 Save your home forest from the evil factory by slicing monsters to pieces. Adventure through beautiful and twisted landscapes full of action and adventure as the ultimate ninja. 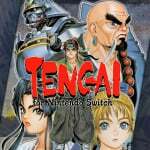 TENGAI for Nintendo Switch (Zerodiv, €6.99 / £6.99) - A great commander ruled an eastern plain for a long time, but his mind completely changed one day. Princess Futsu learned about his dreadful plot inside the castle. She released her family treasures, the hisou stones, outside the castle. The stones flew into the sky and fell into 5 brave warriors. I can't find Punch-Out!! or Tengai. The former will be released tomorrow, right? Didn't know Atelier was releasing this week. Alliance alive should hold me over for a little while before Octopath Traveler. If I can find the time to play it. Thimbleweed will be on sale for 10 euros. Now I have a dillema. Jump on the sale or spent 4x the price and order a physical copy from Limited Run tomorrow. Is Tengai related to Tenga? Japanese love their Tenga. I thought Waku waku sweets was been released on the Switch this week? Very poor Nintendo Life. 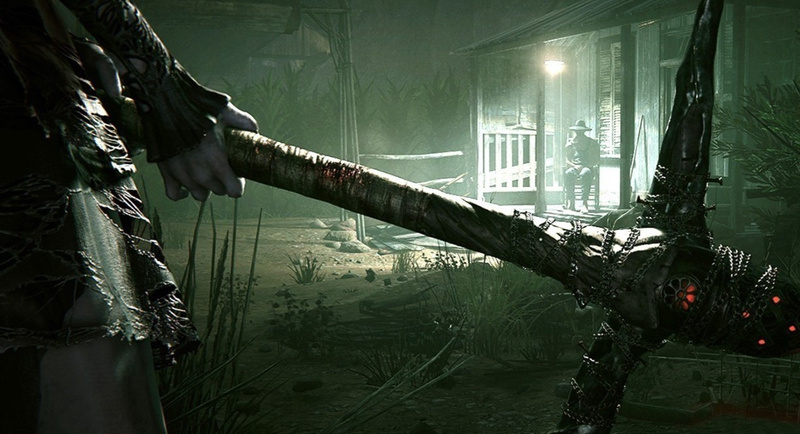 You're missing so many new sales, downloadable content and pre-orders here. Let me help. @Menchi187 According to a guy on another article it's been delayed again, perhaps even cancelled altogether. Others on Reddit are saying the same. No idea what's gone wrong there . Licensing issues perhaps. @DockEllisD Nice one, I'll be staying up for that. Just the Fire Emblem Warriors DLC via the season pass I bought back in October. Tengai for me - it's just going to squeak in before my March gold points expire. I'll keep an eye on the high scores forum thread too, as this one should be a fun one to jump in on. I'll certainly buy SENGOKU 3 and SENGOKU ACES 2 or whatever name it is going under over here. TENGAI? Also PUNCH-OUT! If not Day 1. Sooner or later. And the demos. So, is BAD DUDES... still coming? XENORAID any good? Modern shmups have some pretty stiff competition on Switch, so it'll need to be decent to even bother with regardless of it being on sale. @Krull Oh nice one. There's talk of MOON PATROL being next week's challenge game but I'd imagine all the ZeroDiv titles will have their day eventually. I finally picked up the double pack of Bayonetta this week, so it's that and Splatoon 2 for me this weekend. Nothing on this list that could take my attention away from those games. The Darkside Detective is finally available again, but I’ve already bought 9 games this week so it can wait. It has been mentioned already, but was happened to Bad Dudes VS Dragon Ninja? 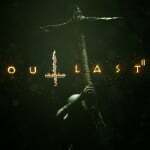 Any official news?? Please let us vote for the demos on the poll! I always download every demo. @DockEllisD: Thanks Doc! Great user name and avatar, BTW! Hmm, PunchOut is not on the german eShop, everything else is... strange. 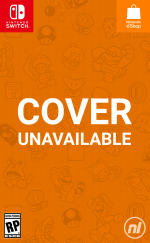 @nintendolife where has your review for 'Bad Dudes...' gone? And why has it been delayed? Off topic but I’m busy playing monster hunter freedom unite on my iPad with my stratus steel controller and it’s awesome!! Why is Atelier so expensive? Would buy it for £45. Have to say I am loving all the demos, big step up from the Wii U there. @Paperboy I was sorely tempted to get the LRG thimbleweed tomorrow but opted for a Commodore 64 mini instead. @Folkloner This a quite big problem. Some of those games, Koi DX for example, indeed are on sale, but they do not appear on the discount page of the eShop. They are hidden. And there is another thing: every single eshop price guide on the internet say that Wonder Boy is on sale, but no eShop show that game with a discount. I asume that eShop is not working properly these days. @Spectra I agree with you. It'll need a very deep discount before I touch it. It's Atlus at it's very worst again. @Spectra You do realize that if the game doesn't sell there's probably not a chance of a physical in EU? Wishing them bad sales sounds counter productive. Speaking of sales, with the Spring Into Action sale my Switch is starting to gather a backlog, so I'll hold off buying anything new for a while. I still need to finish Lone Wolf and Mercenaries Saga... Hopefully I'll have some time for myself over the holidays. Remember how Tom wouldn't just copy and paste press releases? as somebody who games on pc aswell as switch the price of switch versions of the same games are a rip off.